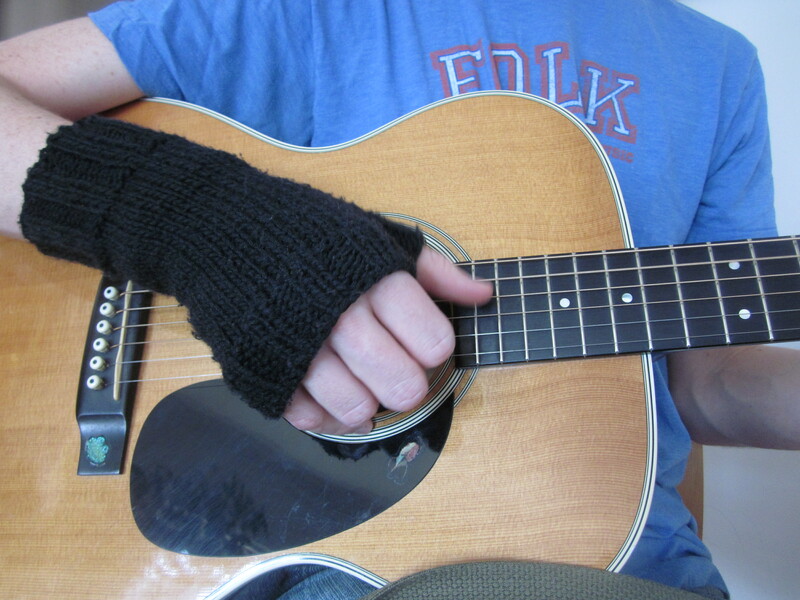 I made these fingerless gloves last fall when The Wren & The Whistler were booked to play a few harvest festivals. Anticipating cool weather, we wanted to be able to play outside without freezing our hands. It turned out that we had lovely weather for the festivals, and the gloves have been a favorite through the Autumn and Spring. We have a matching set. One for the Wren, one for the Whistler, both in black. I used a very simple pattern: Peekaboo Mitts (Ravelry link and blog link), knitted with some Naturally Caron Country yarn I had in the stash. Needle size was 5 dpn, I think.